Firefighters will be joined by local campaigners in widespread protests against London fire station closures tomorrow (Thursday). The mayor of London, Boris Johnson, has forced through £45m of cuts in the London Fire Brigade, resulting in the closure of ten stations and the loss of 588 frontline firefighter posts. The stations – some of which have stood for over 100 years – will shut their doors for a final time at 9.30am. Protests will commence at 8.30am at seven stations, with the main gathering taking place at Europe’s oldest fire station, Clerkenwell, which will close after 141 years. The commissioner of the London Fire Brigade has predicted that the cuts will result in delayed response times to four million Londoners. In a recent public consultation exercise, 94% of those participating opposed the cuts. 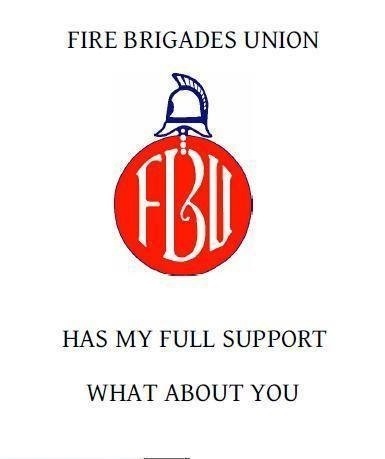 The FBU’s regional secretary for London, Paul Embery, said: “Boris Johnson will have blood on his hands. It will be only a matter of time before someone dies because a fire engine did not get to them in time. 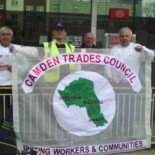 This entry was posted on January 8, 2014 by CAMDEN TRADES COUNCIL.